WikiLeaks has released a document set called the Afghan War Diary AWD, an extraordinary compendium of over 91,000 reports covering the war in Afghanistan from 2004 to 2010. The reports, while written by soldiers and intelligence officers mainly describing lethal military actions involving the United States military, also include intelligence information, reports of meetings with political figures, and related detail. 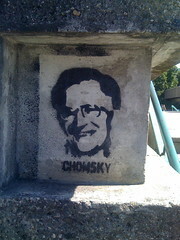 Renowned linguist and political critic Noam Chomsky delivered this address by pre-recorded video to the attendees of the United National Peace Conference in Albany, New York on July 24, 2010. Distributed by the United National Peace Conference Media Project, an initiative powered by the Sanctuary for Independent Media and Hudson Mohawk Indymedia Center.